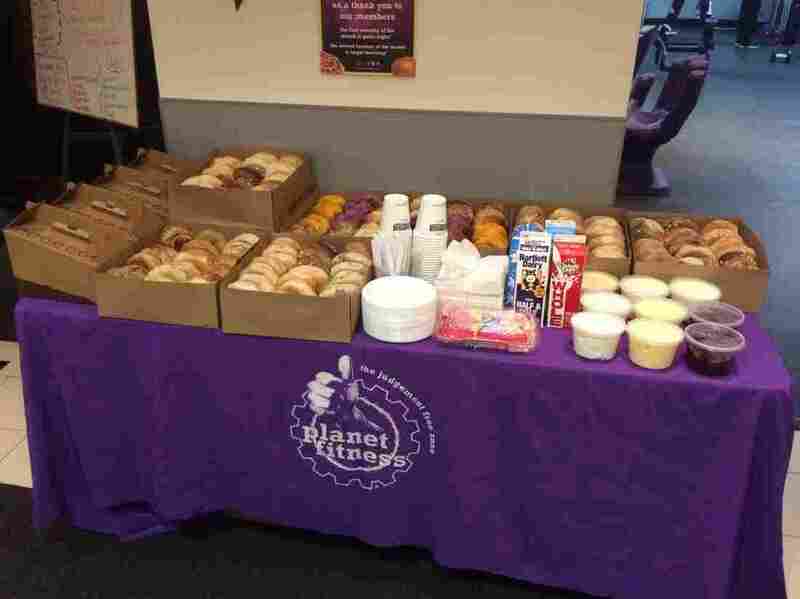 Planet Fitness's bagel breakfast is the second Tuesday of every month. Most businesses would close if their customers never showed up. An empty restaurant is a disaster. An empty store means bankruptcy. At a gym, emptiness equals success. Today on the show, the mind games that gyms play with you. From design to pricing to free bagels, gyms want to be a product that everyone buys, but no one actually uses. Music: David Guetta's "Play Hard [Ft. Ne-Yo & Akon]." Find us: Twitter/ Facebook/ Spotify/ Tumblr.